The long-awaited teaser trailer for the Sons of Anarchy spin-off, Mayans MC, has finally been released. The new spin-off show, which is set after the events of the original SOA series, is set for a September 4 release date this year. 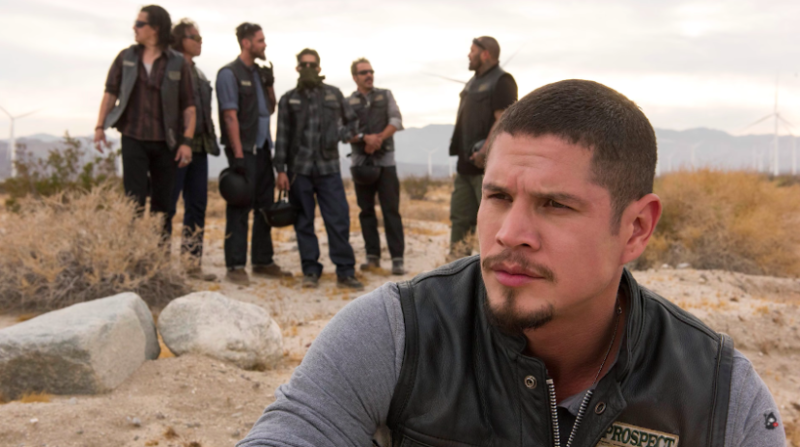 Ever since SAMCRO rode off into the sunset back in 2014, fans of the series have been clamouring for some kind of show to fill the void and Mayans MC is the answer to their prayers. The announcement of a spin-off series was made back in January and had fans salivating at the prospect of another wild trip on the back of a steel horse, this time with the Mayan MC charter. The 30-second teaser trailer gives us a look at the grave of former SAMCRO leader Jackson ‘Jax’ Teller (played by Charlie Hunnam) who bit the dust in the final season of SOA. The camera then pans out to the Mayans MC, who seem to be paying their respects to the deceased SAMCRO leader before riding off down the open highway.